1st floor: kitchen, toilet, living-room with dining area and sofa bed, double bedroom, twin-bedded room, bathroom with marble tub. Panoramic terrace offering views over the surrounding landscape. A picture postcard location which you will not be disappointed with. 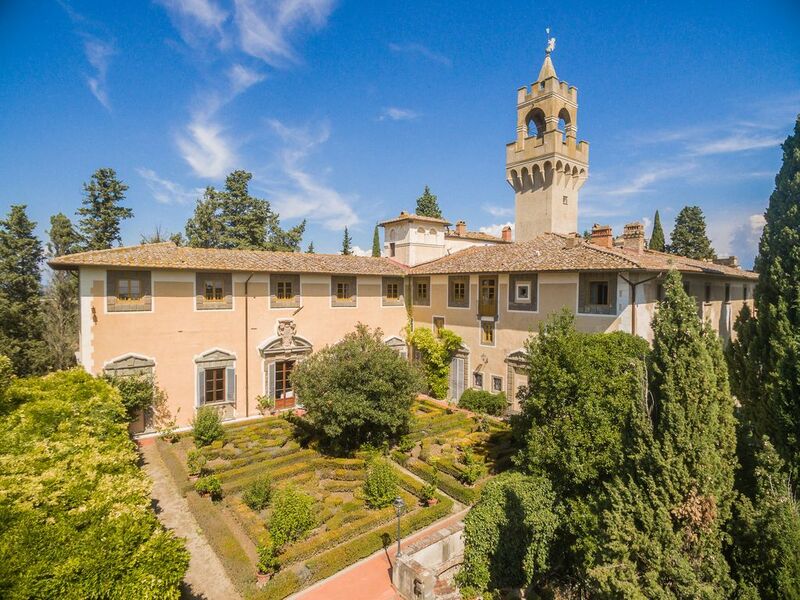 Central location to all amenities and the Chianti wine region. Parking available as it does help to have a car as local shops are a short drive away. Huge apartment with everything you will need but there are approximately 40 stairs to the front door, so those with disabilities or the elderly be aware. We recently stayed at the Castello di Montegufoni, and thoroughly enjoyed our time there. LeTizia and Giuseppe were wonderful at accomodating their guests. The property was clean and beautiful. The views were spectacular. Our apartment was everything we expected. We had more than enough space, and slept well in the quiet of the castle. The castle was an easy drive to Florence, Lucca, Siena, Pisa, San Gimagnano, the Chianti area, the coast, and other attractions. I would definitely recommend this property to anyone considering a vacation in the Tuscany region. Thank you for making our vacation a truly memorable Tuscan experience.